Late Thursday night, the Supreme Court temporarily blocked a bill in Louisiana that would have enforced more abortion restrictions. 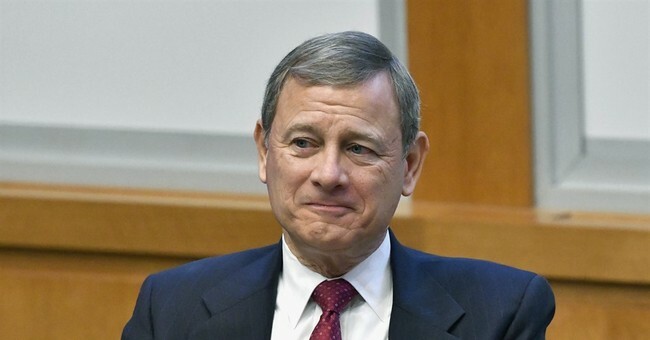 In the 5-4 ruling, Chief Justice John Roberts joined with his liberal colleagues on the court. The state law requires abortion providers to have admitting privileges at nearby hospitals, a demand that some argued would have shuttered multiple abortion clinics. Pro-abortion advocates cheered the court's tight ruling and noted how both of President Trump's Supreme Court picks dissented. In his dissent, newest Supreme Court Justice Brett Kavanaugh said the court ruled prematurely. Slate interpreted that to mean he is, indeed, "declaring war on Roe v. Wade." Meanwhile, the law's pro-life proponents are hoping to appeal the decision. Roberts voted in favor of a similar abortion law in Texas in 2016. The court struck that law down in the case Whole Woman's Health vs. Hellerstedt, arguing it would be an undue burden on women. Roberts issued a dissent at the time. This time, however, it seems he decided to vote via precedent. As some conservatives noted, the math just doesn't add up.